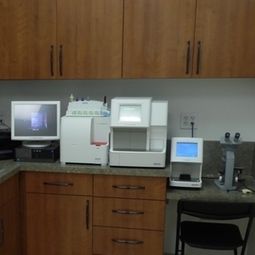 Wea Animal Hospital utilizes a complete in-house idexx lab. We have the ability to perform CBCs, Chemistries, Electrolytes, Thyroid screens, Pancreatitis screens, Phenobarbital levels, Parvo testing, Lyme testing, Felv/FIV testing and Cortisol level testing. In fact, 80% of the lab work done in this hospital is done in house. That means results in 15 to 20 minutes, not 24 hours. This in turn allows for immediate and timely treatments.